This utility decodes all URL-encoded text in your selected cells. 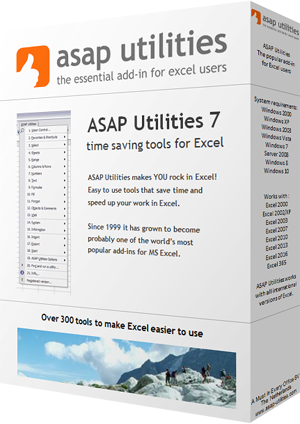 This can be useful when you use Excel for example to analyze reports with website statistics or keyword performances. The utility will replace the "+" character with a space and it decodes any %## encoded character in the cells. It will also decode named HTML entities such as &nbsp; and &euro; and it will decode a string of text such as %c3%84 and %c3%a7 and unicode characters such as &#169; and &#8220;. This utility will for example decode the text "http%3A%2F%2Fwww%2Emicrosoft%2Ecom" to "http://www.microsoft.com", which is more readable. URL encoding is used when text is place in a query string in the URL to avoid that it gets mixed up with the address of the website and it is usually placed behind a question mark (?) in the address. This technique is often used when the internet browser sends data via a form on the website to the web server. The cells in your selection with formulas are skipped.